Hoping to see this work. I give away 36 shirts at our Palm Springs run, my cost on them is a little over 400.00 100% Cotton. Normally end up with a few extra. I wish you luck with this endeavor. I for one Thank You!! AND I was wearing it when I won class at my autocross this last Sunday! I will try to figure out what the problem might be, but this is the first I have heard of it. Please, if anyone else encounters any similar issues, let me know. So I clicked on the link provided and it took me directly to the Solstice T-shirt page. I put one in my cart and went to checkout. I filled in all the information down to "Phone-Number (Required)". I just X-ed out of the site. I don't give out my phone number like that. Why in the world would a phone number be required just to buy a T-shirt. Patently ridiculous! I am sorry you were upset by the requirements of the credit card processor. It is required to supply a phone number to verify that it matches the number on file with your credit card. We do not use/receive that info. Otherwise it would cost twice as much to run your card. If you would prefer, we can use PayPal. To get that started, email us at [email protected]. Thanks! Last chance! This design has just over 24 hours left before it's gone! If you're interested, now is the time to act. 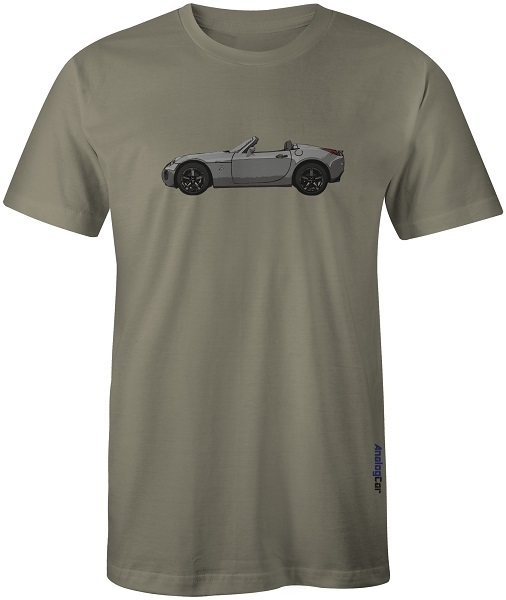 Also, don't forget about our coupe shirt Visit www.AnalogCar.com and check out all our designs before it's too late! Shipping combines on all orders. Thanks. Sky forum member, got rid of my Ugly Solstice. lol Just teasing you guys.